Our vineyard had a relatively young plantation of J when we purchased the land. Whilst the planting density was right, we decided to change the trellis system in order to provide sufficient support for the vines in the long run. Now our vines enjoy the benefits of a medium-high cordon training system. 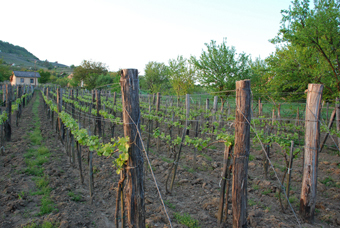 We believe that making good wine starts in the vineyard. Therefore, we have developed a system of cane pruning whereby we leave a number of buds that allows us to accommodate to the weather conditions of the vintage and produce a good quality crop of reasonable quantity. 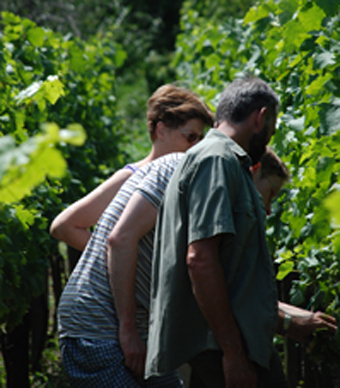 We invest a great deal of labour in the vineyard through winter and summer pruning, side shoots removal,mechanic weed control, toppings and leaf plucking in order to provide the vines with optimum growing conditions.